Microsoft has finally announced that they have identified the root of the bug that deleted the data for some customers that were able to install the Windows 10 October 2018 Update (V1809). The fix is gradually being rolled out with the Windows Insider Program first. While for those who have already previously installed the October update without any incident, Microsoft released an initial update as part of the scheduled Patch Tuesday releases. The update incorporates additional fixes including the loss of data for several users. More details are available in KB4464330. 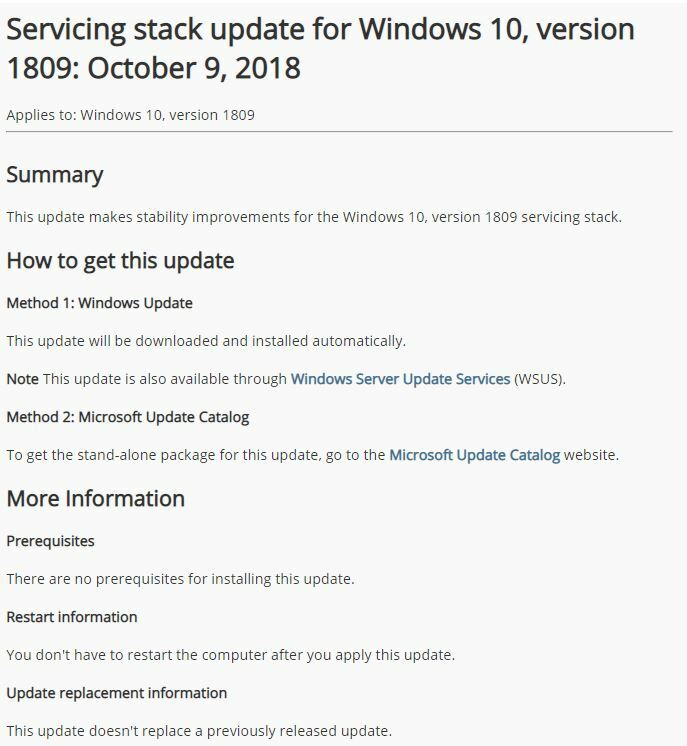 Included in the updates is a new service stack update for Windows 10 version 1809 in KB4465477.